The Family Court's structure and the way it works need to be revisited to ensure that children's voices are better heard, according to the new Children's Commissioner Helen D'Amato. 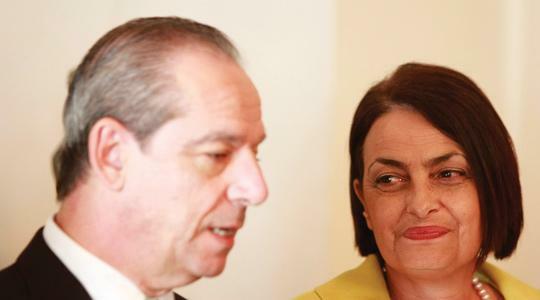 Soon after being appointed Malta's third Commissioner for Children yesterday, Ms D'Amato, a former parliamentary secretary, stressed that during her three-year term she would strive to ensure children's interests were given priority over everything. In a recent report, Parliament's Social Affairs Committee pointed out that the Family Court needed to become more child-friendly to ease the trauma on children. Some, as young as five and six, were already on antidepressants because of separation-related stress, the report said. Ms D'Amato said she would be focusing on promoting children's rights, the prevention of abuse, encouraging the participation of children and ensuring that services were in place to cater for children's needs. Ms D'Amato said she believed a stable family was the best environment for a child to be brought up in. She recognised, however, that this was not always a reality. For this reason she would work to strengthen fostering that was already reaping great benefits. She also planned to look into structures to help adolescents with behavioural problems. Prime Minister Lawrence Gonzi said Ms D'Amato had been unanimously approved as commissioner by the Cabinet following consultation with the Social Affairs Committee. He stressed on the importance of the Children's Commissioner's role adding that safeguarding today's children had a widespread effect on society in general. Ms D'Amato was appointed to take over from Carmen Zammit who had succeeded Sonia Camilleri. Ms D'Amato, a teacher by profession, has worked closely with children throughout her career. She served as a judicial assistant in the Juvenile Court before she was elected to Parliament between 1996 and 2008. During her political career, she chaired the Social Affairs Committee and also served on the Children's Council. She served as Parliamentary Secretary for the Elderly and the Community Care between 2004 and 2008 but failed to get elected in the last general election. She is married to Carmel D'Amato with whom she has two sons, Anton and Manuel, and a daughter Francesca.